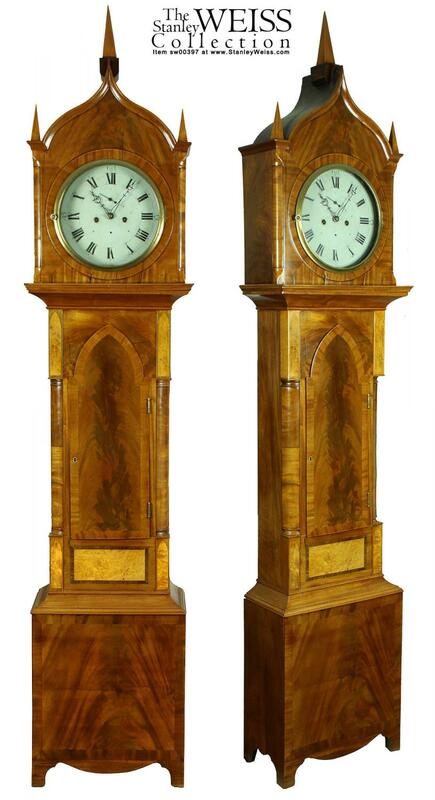 The Gothic period was relatively short-lived and the tall case clock form was quickly going out of favor, as spring clock works were becoming popular. Consequently, this is a fairly rare form of an old style for its day. 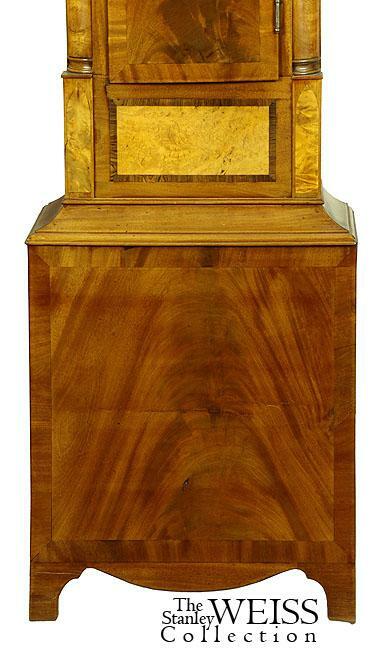 The wood case of this clock is fairly elaborate, with Quarter Columns both on its hood and midsection. 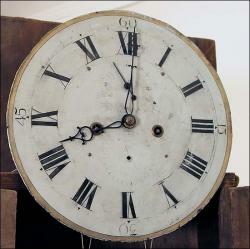 The dial is crossbanded and this clock retains its original spire finials. The Gothic arch of the hood is complemented with the arch door, which is crossbanded and inset with highly figured mahogany. The quarter columns are embellished both above and below with arched inset panels of a yellow burl wood. 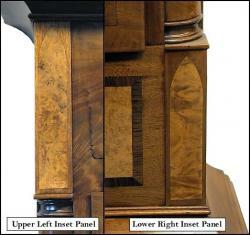 Below the central door is a rosewood banded panel inset with yet a lighter color burl panel. The lower section of this clock has a crossbanded base with an inset of highly figured mahogany. 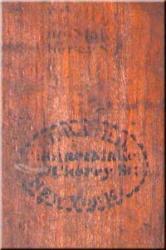 This clock is stamped by its maker twice behind the arched panel door (shown below). The works, the dial, etc. are all original. 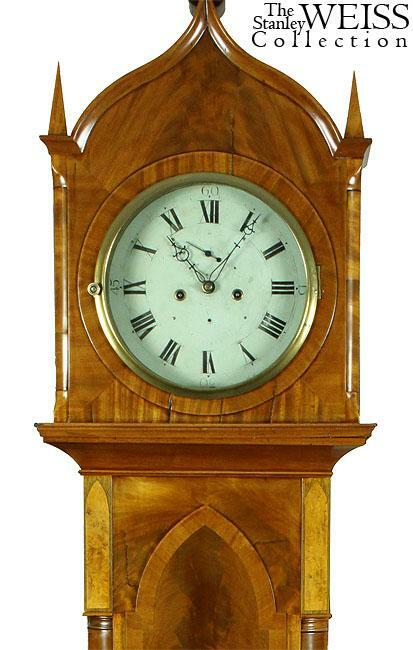 This is truly a museum quality clock due to its definite maker’s stamp and would make a worthy addition to any collection of fine antiques. Height: 99 1/2 in. Depth: 10 1/4 in. Width: 20 1/4 in. Case Width: 15 1/2 in.